Wouldn’t it be great if our furniture could make a difference? Well, according to a 2010 Study for the Institute for the Study of Labor, it can. The study concludes that children whose parents who own two bookcases are markedly more successful in school. 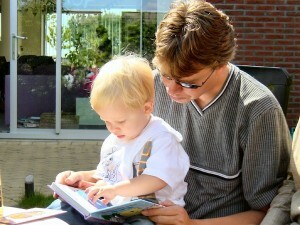 There are many factors, of course, that affect how well a child does – and many different ways to measure this – and, indeed, the study focuses mostly on socioeconomic differences and international differences in educational achievement, but the fact remains: read to your kids, surround your kids with books, and they’ll do better. This is good news for the book collector. We’ve always known kids get a leg up when we read to them from an early age, and encourage them to read on their own. But now there’s proof that having a house full of books – and let’s face it, who among us has fewer than two bookshelves? – can actually boost a child’s future. See more: Children’s classic collectibles in our online store.